I'm lactose intolerant, and I don't love ice cream. 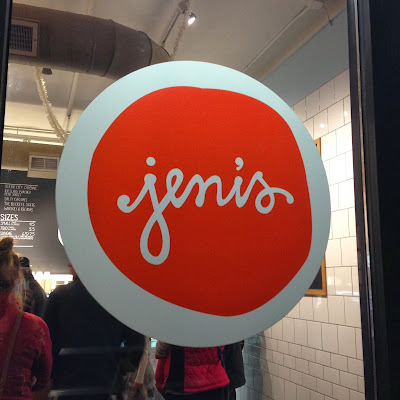 But Dan does, and everyone raved about Jeni's, so I insisted we brave the long line at the new 12 South location of Jeni's Splendid Ice Creams. You guys, I would eat this ice cream EVERY DAY. I would take a bottle of Lactaid and go to town on it! 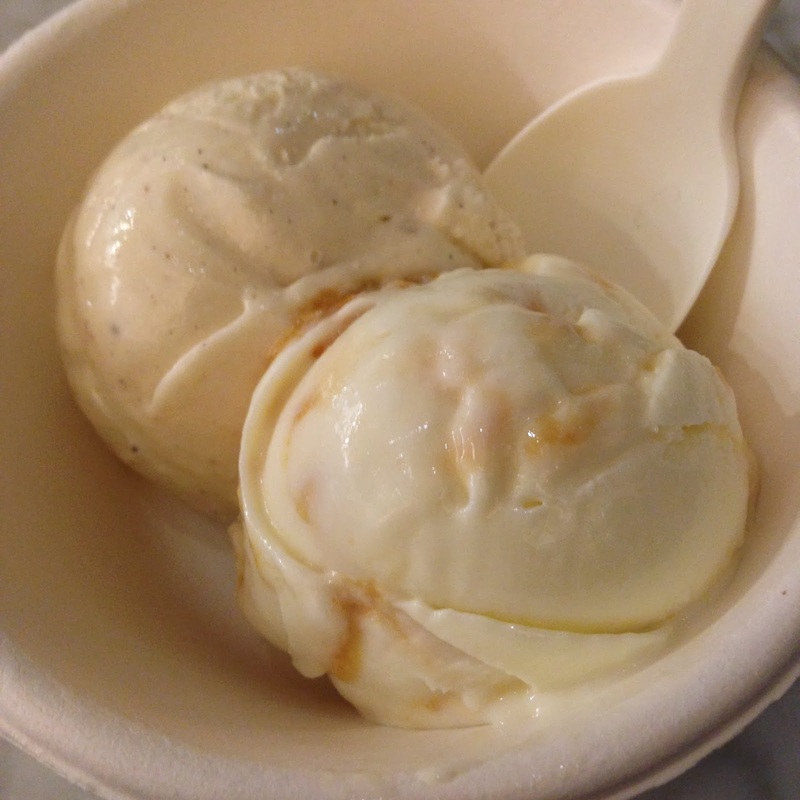 I had a scoop of the Brown Butter Almond Brittle and a scoop of Ndali Estate Vanilla Bean. I told Dan I want the Almond Brittle in a pint instead of a birthday cake. It was decadent and sooo good! Dan had the Brambleberry Crisp and Whiskey & Pecans. They weren't my favorites, but we sampled such a variety of sweet and savory that we could mix and match endlessly. There's literally something for everyone. And WE WILL BE BACK. Yum. Yummy. YUM. Check out the Jeni's website to learn more about how this little Midwest shop is being amazing all the time. Beautiful looking shop, love the typography on the sign! Isn't it beautiful? :) And it's delicious! Ooh, these ice creams sound delish! It is some of the most decadent ice cream I've ever had. 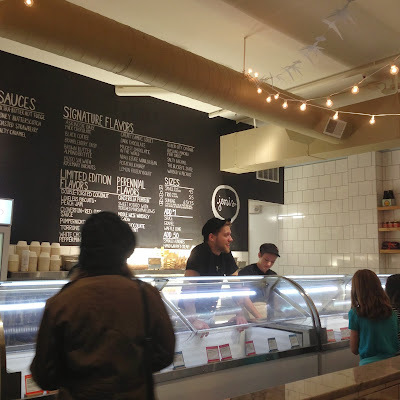 I think it competes with gelato in Europe.